Who was communicating with astronauts through haunting New Age Music? Was it God? Divine? Universe? or Aliens? 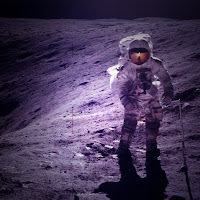 When the space craft was orbiting around the dark side of the moon and lost radio contact with Earth, the astronauts’ radio channel filled with a haunting endless melody, while they expected radio silence behind the moon. They wonder where the source is. Why it is communicating through music? Is this voice less hymn the universal language? Was it God, Divine, Universe or Nature talking to them through reminiscent of a tonal-based New Age music or probably our ancient alien ancestors were trying to communicate with us? How to translate it to words? On the other hand, is it a peace message or a warning to leave? The source of the sound was not as supernatural as our thoughts, since the haunting New Age music source was inter-solar and as usual there was a scientific answer for it. Jupiter’s magnetosphere is responsible for overtaking astronauts’ communication radio channel. With no other closer and more powerful signal to override Jupiter’s influence, the astronauts were treated to the kind of haunting New Age music track. It might not satisfy our delusional mind expectations, but let’s not forget that in ancient Roman myths, Jupiter is the king of the Gods, the God of Heaven and Earth and of all the Olympian Gods, and also known as the Justice God. So, who knows? 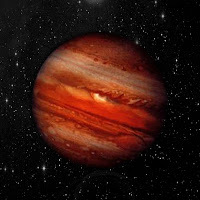 Beside scientific explanation by NASA for this endless melody, it is the universal power of Jupiter that generates and communicates in a haunting New Age music. Find more haunting music at Silentaria channel. Find more posts about New Age music at Marian White’s Blog. Rebellious Electronic Music: Chaos in beliefs or living life to the fullest? Is there a prescription to stop living in fear and guilt? Is rebellion one of the main ingredients? What if a masked man in white holds a key to answer? Will you listen to his music as a cure? The rebellion concept has played a significant role in the evolution of contemporary music. Concepts and attitudes along with costumes and hairstyles have expressed various forms of rebellion in music history. Silentaria; an Electronic New Age musical project created by Rixa White; is intended to be in contact with that potentially rebellious part of us and awaken the rebel who is hiding somewhere inside. 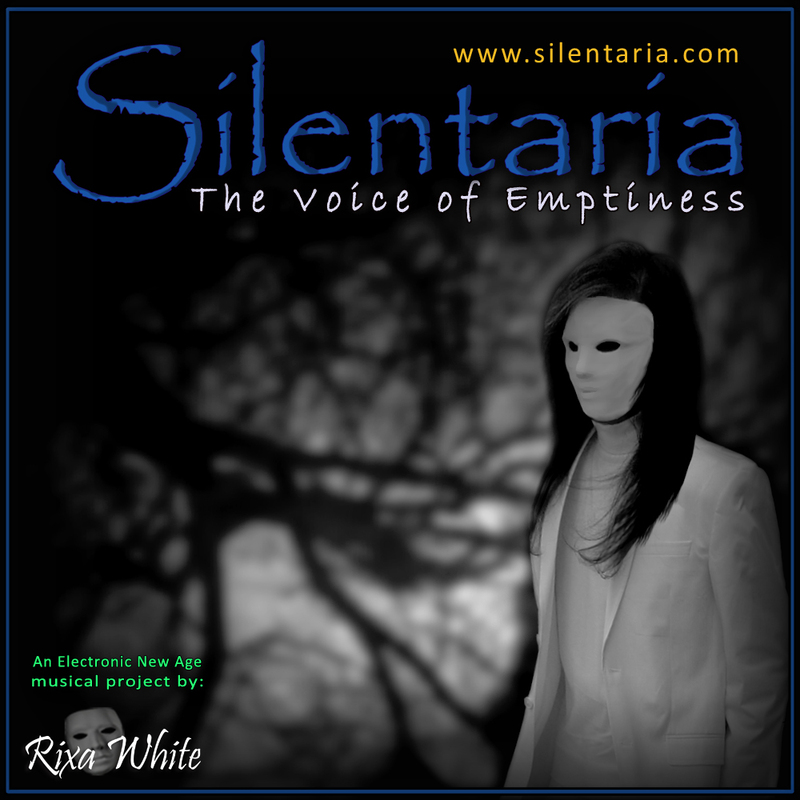 Rixa White, a long-haired man in plain white, hiding his face behind a white mask is Silentaria iconic image. He might be the first New Age artist that purposefully focuses on encouraging his listeners not to fear, stop feeling guilty and live the life to the fullest, instead of forcing them to relaxation and serenity. Silentaria opposes presenting any step-by-step instructions or belief systems since persuading a particular constant direction will lead to conformity and obedience. Beside his music, Rixa White’s poems and videos are in compliance with the aforementioned concept. For instance, against all advices that ask you to drop all masks from your face, “One Mask To Hide Them All” video emphasizes the doubt that even your face might be another mask chosen for you and encourages you to choose your own mask to tell the truth and become the change. With such a rebellious vision, he has been criticized as an unorthodox in New Age music world and been told that his rebellious music concept can create a chaos in beliefs and lead to melancholy. “It is my intention to release the well-hidden deep chronic sense of insecurity and dissatisfaction in my listeners. I insist on facing the life burden instead of pretending that everything is fine outside while suffering inside. Rixa White said as an agnostic atheist musician and added a quote from Nietzsche: “You must have chaos within you to give birth to a dancing star” to answer the critics”. Silentaria’s multi-dimensional fusion music benefits from emotional melodies and diverse instruments and devices to create multi-layered themes with cinematic atmospheres, progressive orchestrations, polyphonic harmonies and hypnotic rhythms, that present elements of mystery, sorrow, epic, rebellion, romance and energy. With either despairing or challenging track and album names, it might be impossible to get caught in usual Electronic New Age music monotony while listening to Silentaria music. It turns from soothing instrumental (Farewell, Sorrowful Truth) into cinematic Epic (One Last Quest, Return of the Lost) and from energizing Electronic (Beyond Destiny, Real Fantasia) into thundering Rock (Deceived, Curtains over Eyes). It is quite easy to surround yourself by this hybrid music that demands your sub-conscious for exploring strange sonic shores. Inspired by Wholeness and Emptiness philosophy, Silentaria manifests its slogan: “The Voice of Emptiness”. But how can an Electronic New Age fusion music with elements of Progressive Rock claim to be so? Deep down inside, in places we do not tell our cool friends about, there is a part of us that loves to live different, question the beliefs fearlessly without worrying about “What comes if I do so?”. Silentaria music is intended to become in contact with that potentially rebellious part and awaken the rebel who is hiding somewhere inside. People often consider rebellion as a destructive and vicious objection in outer world against political or social norms, but it can be a form of constructive self-criticism when it is applied and interpreted in raising questions against restrictive beliefs and mindsets. It still seems a very odd move to present rebellion concept in New Age music and Rixa White might be the first New Age artist that has been raising questions and encouraging his listeners to activate an inner revolution instead of forcing them to relaxation and serenity. In fact, Silentaria invites listeners to experience the life as it is and opposes presenting any step-by-step instruction or belief system since persuading a particular constant direction will lead to conformity and obedience. By observing and releasing the deep chronic sense of insecurity and dissatisfaction, rather than escaping, controlling, suppressing or denying it, the inner space will be unoccupied for Emptiness to descend. So, fear not and let the pure experience happen and observe both frustration and frenzy, witness them all and embrace the infinite possibilities that are unfolding from Emptiness. Listening to multi-layered yet harmonious music of Silentaria opens a door to silence and as music depends on silence to distinguish sound, Rebellion becomes the key to Emptiness. Listen to Silentaria’s Rebellious music; hear the quiet voice of Emptiness within. For more information please visit Silentaria and Rixa White page. Find out how Silentaria is a diverse approach to New Age music. This is not a conversation from a witchcraft movie, but a title story for Silentaria‘s new album; “What’s Real?“. “This is a story of a lost creature, surrounded by reality and illusion contradiction, as mentioned by Rixa White; the self-taught pianist, keyboardist, composer and poet behind Silentaria musical project. The illusive album atmosphere is in complete harmony with album cover, track names and melodies. They all play their own role in emphasizing the concept that what we believe or experience may not be real. The story begins in an eccentric, hypnotic, trance-like space where you will be injected with illusive sounds of “Mirage”. Passing a curious robot which keeps asking an angel “What’s Real?”, you reach the warm “Oceans of Illusion”, so, get drowned and you will hear the whisper of “Vital Doubts” by a magical flute. The heroic theme by an electric guitar removes “Curtains over Eyes”. So, you feel the “Sorrowful Truth” played by a soothing violin and then you will figure out how we all have been “Deceived” while pursuing happiness in “Real Fantasia”. Awakening call of “Consciousness” with computer-generated human voices makes you ready for a modern epic “Diversion” and this part of journey finally ends by “Echoes from East”. For a long time New Age music was stocked alongside with a soft, yoga-like, energy crystals, wiccan paraphernalia and homeopathic medicine music that you can find in your local health shop or spa, but a new wave in this music genre has been seen in recent decade which is dynamic, spiritual and epic-heroic. As a part of this new wave rise, Rixa White has created ingenious cinematic themes, robotic melodies and dazzling bursts of electronic sketches that take an imagination to realize the whole orchestra produced by only one musician. Rixa White, the masked angel of music, breaks his 1001 days of silence by releasing “The Beginning of the End” in October 2011 and now his new album, “What’s Real?”, is a conceptual album with illusive visionary melodies and sounds, stranger than your dreams, but familiar to your inner emotions that make you eager to listen again and again. Check out all reviews about “What’s Real?” album. This concept album is a story of a lost creature, surrounded by reality and illusion contradiction. This concept album interprets mankind concerns to get free from the past and move beyond destiny via an inner journey as a life quest. Silentaria is an Electronic New Age musical project founded in 2010 by Rixa White, a self-taught pianist, keyboardist, composer and poet.